Package per room includes snacks and/or a souvenir, plus bottled water for a maximum of 2 adults. Offer also includes 1 City Insiders map of must see attractions plus late checkout to enhance your stay. Unused components of package are non-refundable. 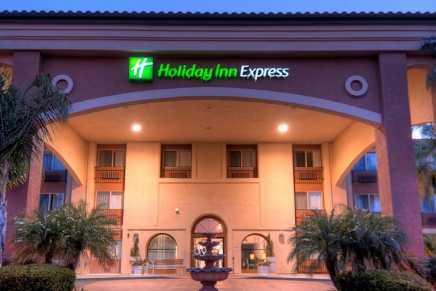 Starting at $105 The Holiday Inn Express Temecula is ideally located near the beautiful Temecula Valley Southern California Wine Country, Old Town, Pechanga Casino and several championship golf courses. Corporate travelers will also appreciate the fact that we are near area businesses.